PORK CHOP is 22 "LONG by 17 " WIDE. ONE BIG PIG!!!!! Can be used indoors or outdoors. Inspired by many gory horror movies- this prop is great for chainsaw, butcher or killer rooms in a haunted attraction. 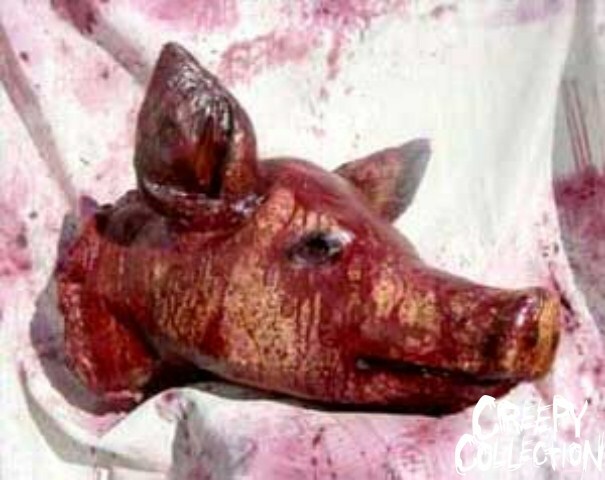 Bloody, chucks of pork, gouged out eyeballs and more, it's made with realism in mind! !